What a beautiful photo shoot you've done! I love the look of the cowl so much, I've gone and bought as well! 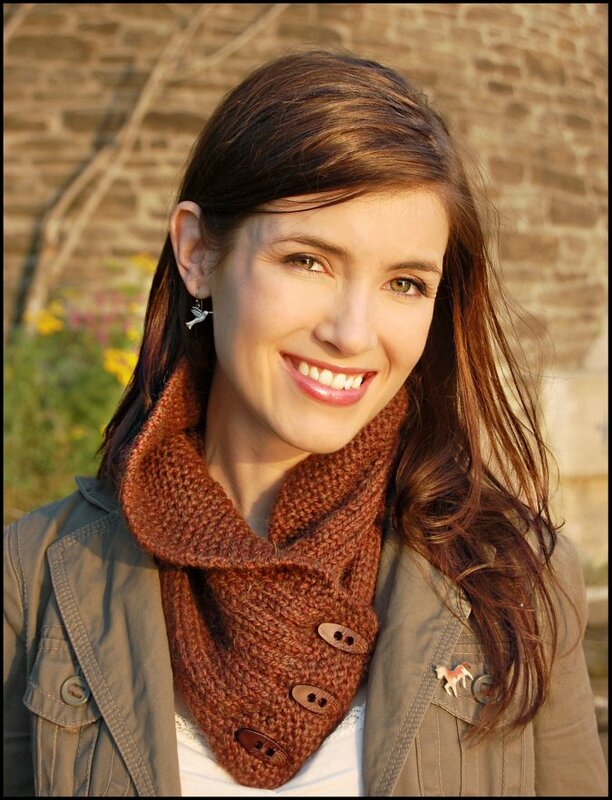 I do agree that Julie is the perfect model for this cowl! 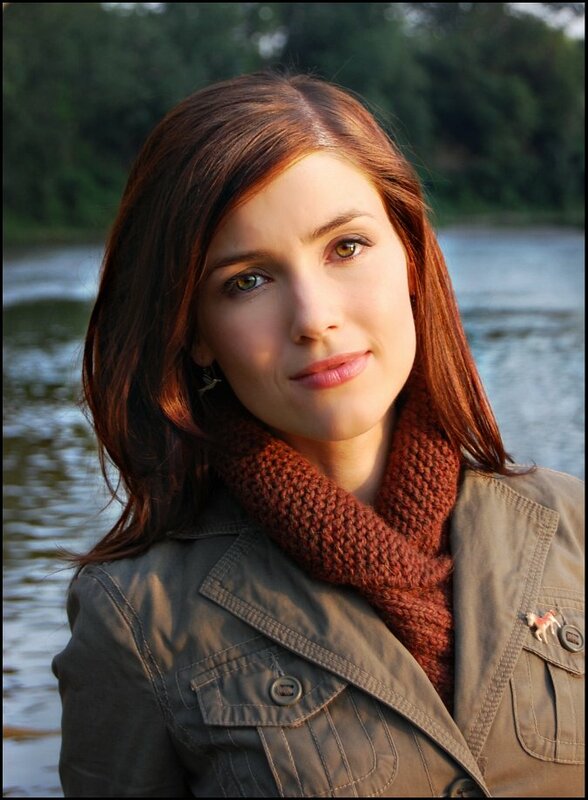 Not only do we all love her and her blog, but the pictures with this cowl and her hair color were simply meant to be! I love the part when you say that this cowl is perfect to show some special buttons. Beautiful and very versatile! Congratulations! I think my mom would love this. Those are beautiful photos, as always. Very beautiful model and cowl. Wonderful pics. I can't wait to knit this! I can't wait for fall weather :o) Beautiful pattern! that is GORGEOUS. seriously, it's going to be a hit!!! great job! I love this Alana, it's gorgeous! I just orderd the pattern. I will knit it with my own handspun alpaca-wool-silk blend. I am looking forward to the knitting! love the pattern and Julie looks amazing!! Love the new design and the pictures!! queueing it! I have so many neckwarmers so I might have to give it away but lovely pattern! Julie is a great model! Saw this on Knitted Bliss, gorgeous photos... it's going straight to my favs on Ravelry, hope I can knit some Christmas gifts once i get the alpaca. Beautiful pattern. Gorgeous photos! That color is perfect on her. 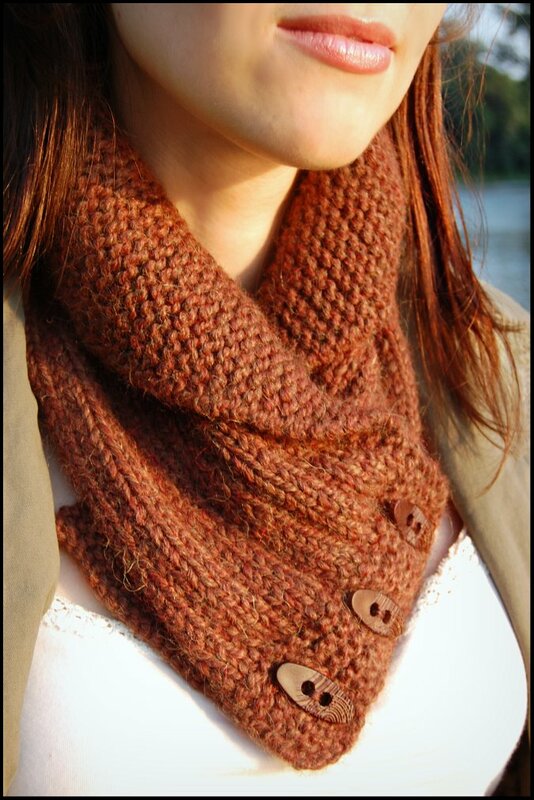 Oh, I love this cowl, the yarn, and the photography is great! Lovely model too! Well done! Absolutely stunning. Really beautiful. I hope to make this soon! That's lovely and it looks super great on your model! 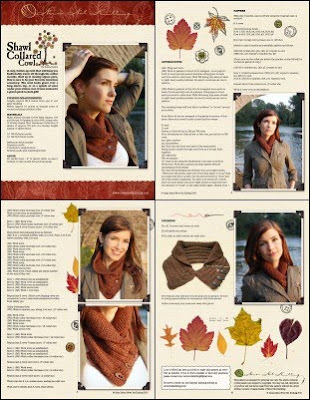 What a great project for Fall. this shawl cowl looks so snuggly even though it's only for the neck.. I love it! awesome job alana~! Just a quick note to let folks know that Jimmy Beans Wool will be knitting up a version of this in the new JBW exclusive Landscape colors. Here's the link to them when they go on sale soon! Absolutely love, love, love this cowl!!!!! I listed to your podcast today and couldn't wait to get to a computer to check out your Shawl Collared Cowl! It's beautiful!!! Lovely cowl! The model is just beautiful. Amazingly lovely. I want to make one of these babies! Or maybe Three! Great gift idea too. I want to make one of these babies! Or Three. Great gift idea. I want to knit one of these babies! Or Three! This is beautiful! I was wondering if there was a similar yarn (one more readily available) that would be comparable to use. Also, what level of skill is required for this. I'm pretty good on picking stuff up, but i don't want to start something i won't know how to finish.